The best stretching machine for most people is the Precor 240i. It gets an outstanding rating on Amazon and features an Ergonomic Design, Instructional placard, and Accommodates people of all heights. The machine provides stretches including gluteal, back, shoulder, inner thighs, & more. You are probably here looking for the best stretching machines online. There are actually various types of stretching machines that could help supercharge your overall flexibility and that too at your own comfort level at home. In addition, stretching machines could also help you reduce back pain, reduce muscle tightness and improve your posture. In this post, we’ve categorized different types of stretching equipment you can find online. Check out the bestseller under each category and then read a brief description of that specific type. There are numerous great whole body stretching machines that you can get for yourself. 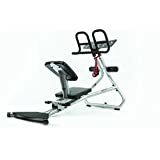 One of my favourite machine and all-time bestseller is the Precor 240i ( Ranked #1 Below ). In many cases to achieve that sense of flexibility and allow your body to become more flexible, a stretching machine is a great asset to invest in. The whole body stretching machine can help you loosen up the muscles in your body. In doing so, you can avoid issues that often occur with workouts ( such those painful cramps ). The best part about a whole body stretching machine is that they are made to last and withstand the test of time and use. These same machines are also great for any age range and can help you to improve your posture. Some stretches are even similar to what you’ll find in yoga classes. While some doctors will try to address the issue with medications, many people seek a better and healthier alternative to coping with the pain and for them, that answer is in back stretching machines. These machines are capable of solving different issues and each machine can help in a different way. Just as no one person’s medical issue may be the same, each machine has the ability to help each person in a different way. It doesn’t matter if you’re an athlete looking to keep your back muscles flexible or suffering from the trauma that needs therapy, these machines are great for just about everyone. One of the most helpful devices we’ve come across is the inversion table which doesn’t really look like a table at all for those who may be a bit intimidated. In fact, it appears more like a chair that you’re comfortably able to strap into, and with a back support, it hangs you upside down to allow a better re-alignment of the spine, but can help you stretch the back muscles as well. This is pretty good for short term use in helping with back issues, however, it’s not usually recommended to try and treat back pain in long term use. Before attempting to use an inversion table make sure you contact your physician as it can cause a lot of trouble for people with certain health risks. The comparison table above points out the best one in this category and the #1 spot. 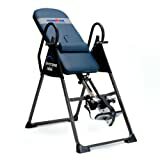 The pro leg stretcher ( #1 above ) is a great place to start for anyone who isn’t familiar with leg stretching machines. Due to the abilities to be able to stretch more than an 180-degree angle, you’ll be able to get the max out of your workout without having to do more. The leg stretching machine takes on that of an almost regular looking chair without legs. Instead, it comes with an adjustable padded backing, leg rests, seat, and a turning wheel that allows you to use the wheel to adjust to the right angle for you. Built with complete durability and a system that relies on gears instead of the usual cable and pulley system which can easily snap when under too much pressure. In some ways, we feel that this even makes the leg stretching machine a lot safer because it doesn’t rely on the same functions that others do. 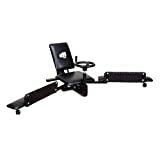 We highly recommend using the Century Versa Flex Stretching Machine. This is great for anyone who is looking to get the most out of stretching their body, but may not necessarily have a lot of time to spend on doing a workout or spend a lot of time on one of these machines. With this flexible design, you can stretch up to 190 degrees and get the most out of your century verse flex stretching machine. The adjustable thigh pads allow you to adjust to find a position that is most comfortable for you along with the arm rests that also are adjustable to better fit you and your needs. With a helpful stretching chart you can keep track of any progress that you make along the way which can enable you to create different routines that suit your needs and what you need to do to make the best out of your routine. 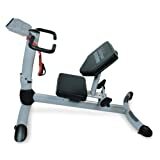 This machine is made to tailor to your needs and continue to grow with the user per say as you are able to move on to more advanced stretching techniques. The Century Versa Flex Stretching machines are offered at a great price and has received a lot of positive feedback from those who have already taken a step in taking back control of their bodies. Flexibility machines are the best way to not only tone your muscles but to learn some flexibility as well. In fact, there are some that are specifically meant for one or multiple parts of the body and then they’re ones that are good for the entire body. These same machines come with a lot of advantages that some people may not be aware of. 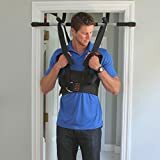 What are some advantages of using a stretching machine? If you find that after a workout or playing a sport that you’re tired and store with cramped muscles then this is a great machine for you. 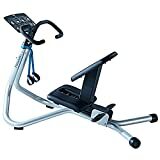 Also, if you find that maybe you’re not able to use in the same was as you are used to, the stretching machine can assist in helping you to gain the flexibility you need. 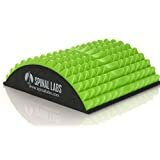 Many people who lack flexibility suffer from other issues that involve back pain for example and these stretching machines are great for dealing with those issues. Winter time can be a hard time of the year for those who are older in age or may be slightly overweight. These machines can help adults to stay active and prevent some issues that are associated with arthritis and other joint problems. What are some other advantages of having a stretching machine? In most cases they’ll allow you to find a better sense of fitness and flexibility with regular use. Keep in mind that you do need to do some warm up stretches prior to using to ensure that you don’t get hurt. These machines are great because they help you to do the stretches you need in order to achieve that sense of flexibility that allows you to do these exercises safely and get a great workout while you’re doing them. Each machine can be adjusted to perform at various degrees and allow the user to get the most out of them. Depending on what you’re needs are will depend on what machine is right for you. There are ones that can allow you a wider range of a workout and there are ones that can be purchased that offer a smaller workout – We’ve covered almost every type of machine in this post. However, whatever machine you are on, please keep in mind to start slow. Don’t rush while doing exercise and always warm up before starting your session. Unlike other machines such as a treadmill or Rower, you can use a stretching machine daily with no danger of overdoing it.